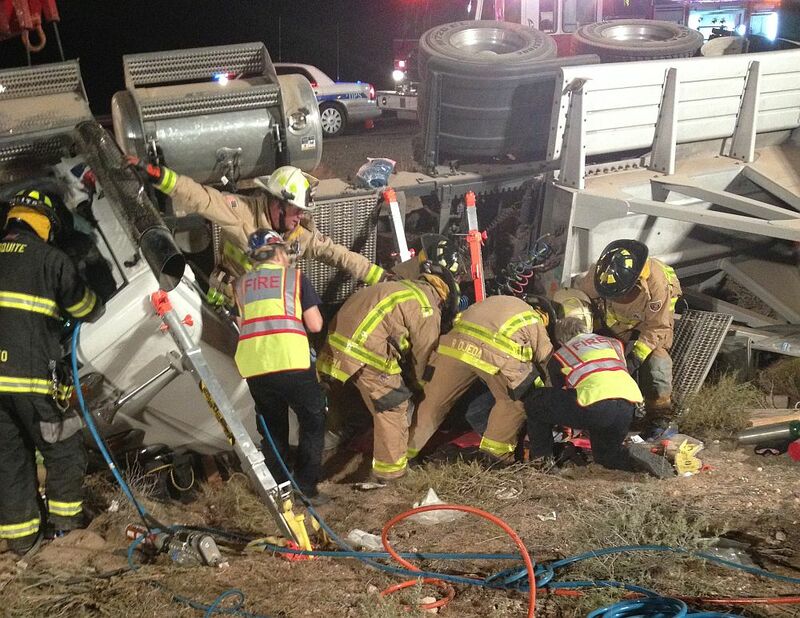 MOHAVE COUNTY, Ariz. — A semitrailer was destroyed and two people seriously injured after the driver fell asleep on Interstate 15 just north of Mesquite, Nevada, rolling the truck onto its side in the center median. 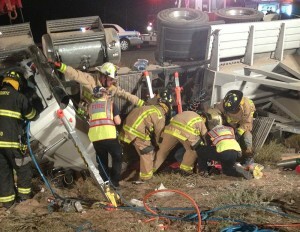 Just before 1 a.m. PDT Friday, the semitrailer was headed south on the interstate about 2 miles north of Mesquite, Arizona Department of Public Safety Sgt. John Bottoms said, when the Las Vegas man driving fell asleep at the wheel. The vehicle drifted into the center median, where it rolled onto its side. The driver’s wife was a passenger in the truck, and both were seriously injured in the crash, Bottoms said, adding the man was flown via helicopter to Dixie Regional Medical Center. 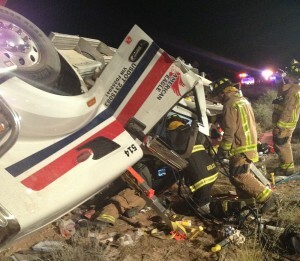 Terri Draper, communications director for Intermountain Healthcare, said the driver’s condition is listed as critical. His wife was taken by ambulance to Mesa View Regional Hospital in Mesquite and was later transferred to Dixie Regional. Draper said she is in serious condition. Cleanup of the accident took over eight hours. The southbound left lane of I-15 was blocked by emergency responders and tow trucks all night and was finally reopened to traffic about 9 a.m. PDT Friday morning.